A palliative care doctor on the front lines of hospital care illuminates one of the most important and controversial ethical issues of our time on his quest to transform care through the end of life. It is harder to die in this country than ever before. Statistics show that the vast majority of Americans would prefer to die at home, yet many of us spend our last days fearful and in pain in a healthcare system ruled by high-tech procedures and a philosophy to "fight disease and illness at all cost." Dr. Byock describes what palliative care really is, and - with a doctor's compassion and insight - puts a human face on the issues by telling richly moving, heart-wrenching, and uplifting stories of real people during the most difficult moments in their lives. Byock takes us inside his busy, cutting-edge academic medical center to show what the best care at the end of life can look like and how doctors and nurses can profoundly shape the way families experience loss. 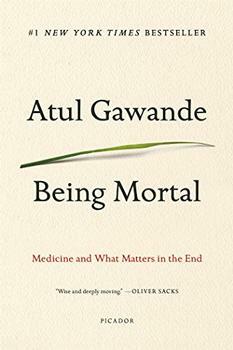 Like books by Atul Gawande and Jerome Groopman, The Best Care Possible is a compelling meditation on medicine and ethics told through page-turning, life or death medical drama. It is passionate and timely, and it has the power to lead a new kind of national conversation. Americans are scared to death of dying. And with good reason. While rarely easy under any circumstances, we make dying a lot harder than it has to be. 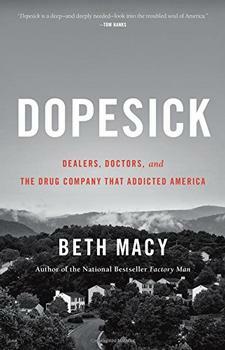 In this suspenseful, moving and indispensable book, Byock shares a great deal of important information... I especially appreciate Byock's affectionate and optimistic view of human nature. He believes that caring for one another is essential to human character and that death, when done right, affirms love, heals loss and completes and enriches our lives. (Reviewed by Jo Perry). A lucid explanation of palliative care and how it can help people die better... A persuasive argument for compassionate care. Here [Byock] recommends ways to reform our health-care system so that death is a less horrifying experience for patient and loved ones alike. Worthy. With elegance, compassion, and energy, Ira Byock shows us how to get the best end of life care. He is a great storyteller and a brilliant analyst of health care in America. This is the book to read or give, if you are facing this hard situation. Nobody gets out of this life alive, but Byock shows us how to do it elegantly and well. In a world in which politics are polarized and ethical discussions often descend into a food fight, Ira Byock is that rare doctor: a humane guide leading us with honesty and compassion through complex stories about living and dying well. He's a real-life rebuke to those who think palliative doctors are "death panels" and a mentor to every medical student inevitably faced with mortality. This is must reading for everyone trying to make humane decisions in a high tech world. One cannot finish Dr. Byock's book without resolving, as much as possible, to take responsibility for one's own death and to become deeply involved in the experiences and medical treatments of those we love who are dying. A generous list of articles and editorials gives readers information on topics ranging from dying with dignity, to the debate on assisted suicide, to problems with current healthcare.